← Concours in the Hills, Means Great Cars! Do you have an interest in the government of our town and want know more? The Town of Fountain Hills Citizen’s Academy will be starting January 29th. 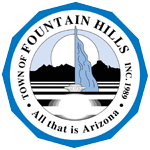 This course is in it’s 4th year and provides citizens of Fountain Hills information about the town and it’s operations. The class is free of charge and is held every Wednesday from January 29th – March 12th. The class is from 6-8pm at the Fountain Hills Community Center. At the completion of the course participants will receive a Citizen’s Certificate. This entry was posted in Area Events, Clients, Customers, Friends & Family and tagged Citizens Academy, Fountain Hills Government, Town of Fountain Hills. Bookmark the permalink.